LAE Madrid – Spanish Language School is always aiming to uphold the highest level of professionalism and innovation. 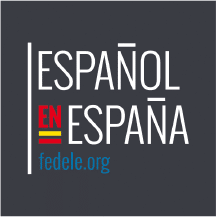 With the objective of providing our students with the quality Spanish classes we have been accepted as a member of FEDELE (the Spanish Federation of Associations of Schools of Spanish as a Foreign Language). FEDELE consists of seven associations, which in turn comprise a total of 90 Schools of Spanish as a Foreign Language. Their main objective is to promote the quality of Spanish language schools in Spain. To this end, to become a member of the Federation each school has to pass a Quality Inspection and be accredited by the prestigious Instituto Cervantes. Through the acceptance of FEDELE’s Quality Charter, LAE Madrid pledges to follow a series of guidelines in all of our services (facilities, teaching staff, accommodation, etc.). Provides a diverse and excellent course organization. Develops a teaching plan to guarantee the adequate progress of the student’s learning. Adheres to the number of hours offered in the course. Provides the students with a coherent and appropriate structure of the courses, defining the levels, objectives, contents and methodology in accordance with the needs of the students. Has the native teaching staff with right qualifications and experience in the field. Has an effective level testing system to ensure the right group at student’s arrival and throughout their course. Maintains small groups according to the numbers advertised. Helps to develop a personalized learning path for those students who need or request it. Offers a variety of leisure programs of a social, cultural and sports nature. Has well-equipped classrooms and appropriate resources for teaching. In addition to its quality standards, the Federation has also implemented a line of innovative solutions in the field of language programmes not only in Spain but worldwide. These factors place FEDELE among the most serious and respectful organizations in language education sector. 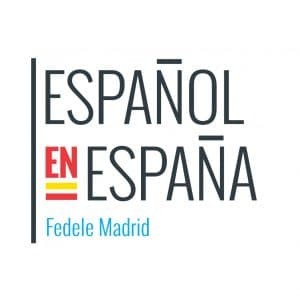 Being amongst the members of FEDELE provides LAE Madrid an opportunity to participate in various training programs, set up by the Federation itself or by the federated centers. This will complement our own training projects, promoting both excellence and educational innovation, and provide training for our teachers throughout the year to ensure they are updated with the latest methods, skills, technology and neuro-language innovations.